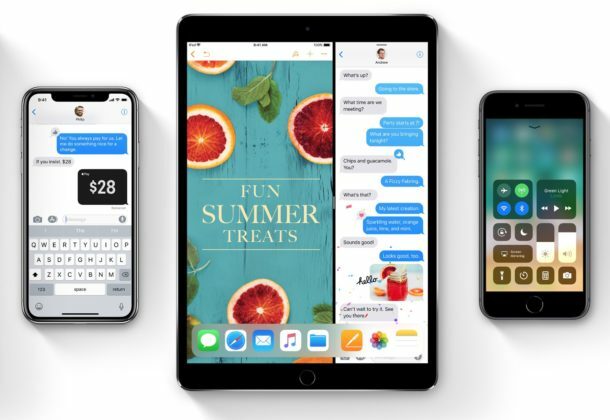 Apple has released iOS 11.2.5 beta 5 to iPhone and iPad beta testers, just a few days after releasing beta 4 of the same system software version. The accelerated beta release pace could indicate that an important bug was discovered in the prior release and patched in the new version, or it could simply suggest that development is accelerating and that iOS 11.2.5 will be finalized with a public release relatively soon. Apple usually releases several beta builds before issuing a final version to the public. 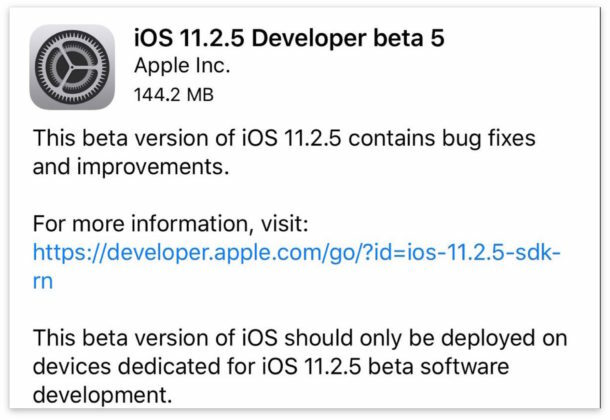 Users who are enrolled in the beta testing programs can find the iOS 11.2.5 beta 5 build available now from the Software Update mechanism on their device, contained within the Settings app. Developers typically get the quickest access to new beta builds, with public beta testers soon to follow. Anyone can choose to participate in the Apple system software public beta testing program, though it’s generally only recommended for secondary hardware and advanced users. Additionally, anyone can sign up to be in the developer testing program through Apple, though that requires an annual fee to join. The most recent stable build of iOS available remains iOS 11.2.2 for iPhone and iPad, which makes versioning this beta release as iOS 11.2.5 a little unusual as there is yet no release of iOS 11.2.3 or iOS 11.2.4. If you mean stable as in a place one keeps horses and what they produce, then yeah, it’s stable. If you mean a useful operating system, then not so much. Does this beta still require that diagnostics data be sent by default when it is installed? That would definitely turn me off trying it as it has on the Mac with recent betas with the same silly requirement.